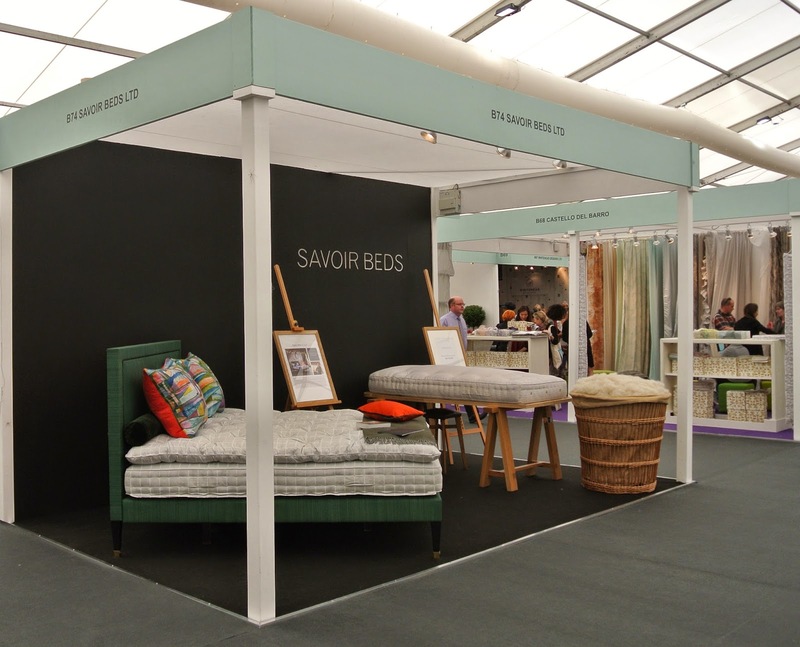 To illustrate the different layers of our beds and the many processes involved in production we brought along our craft display bed. 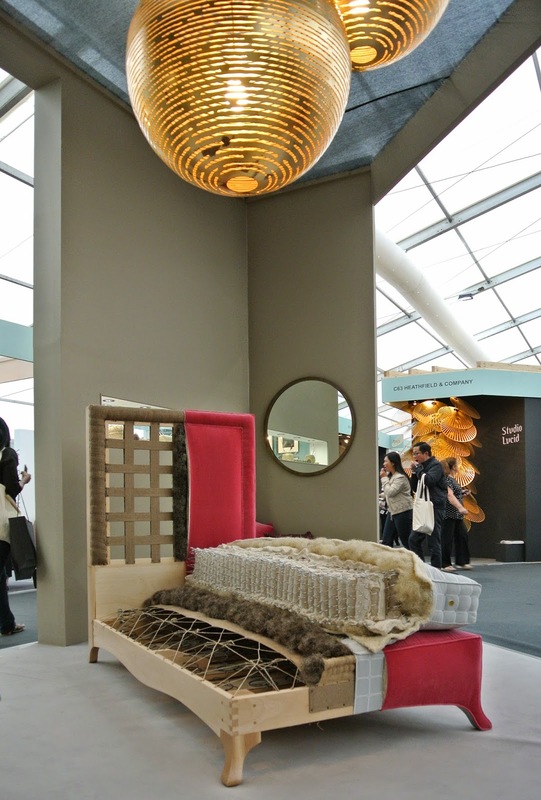 Our bespoke pet bed certainly was the talk of the town! This piece is the perfect gift for your furry friend. 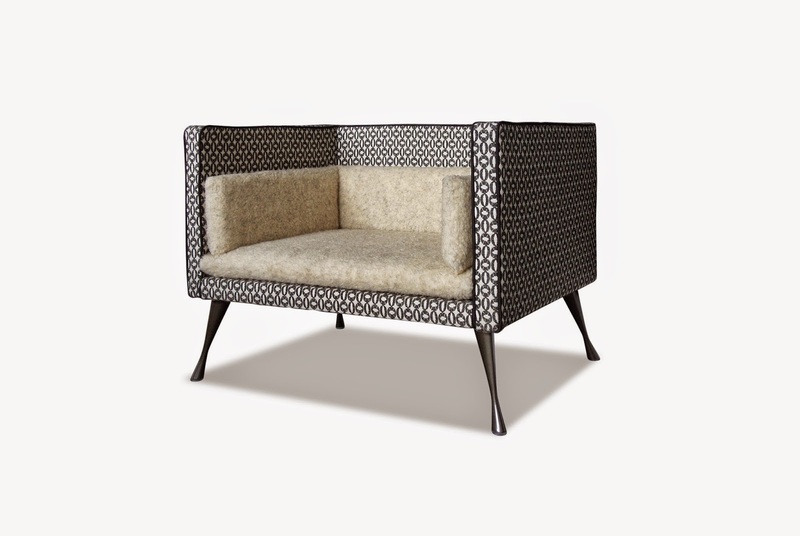 It comes upholstered in Larsen Baytown fabric with cosy Sherpa fleece machine washable cushions. Savoir’s office dog Spooky has tried and tested it, in terms of comfort and style it’s getting big thumbs up! To top off our main stand we had some hand crocheted lighting from the talented designer Naomi Paul. 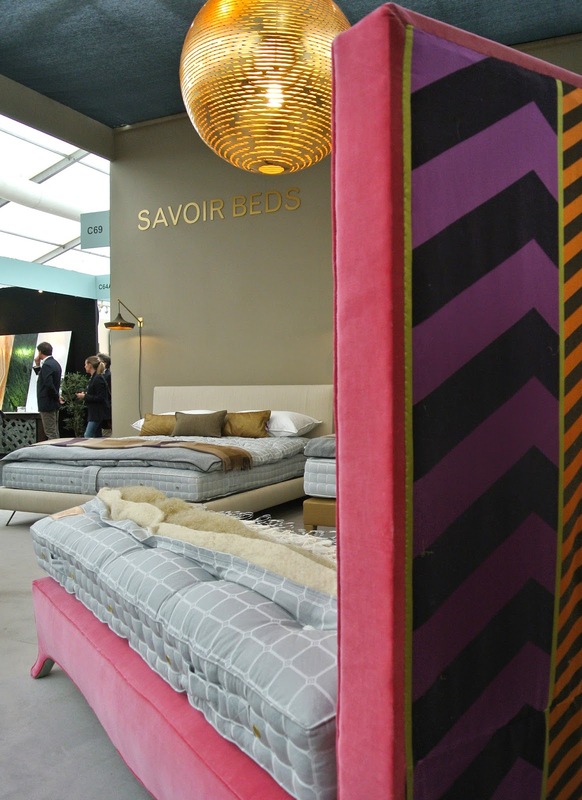 The new cave lights tied together the Christophe Delcourt and Savoy Anniversary beds perfectly. Naomi even stopped by to give her seal of approval for not just her lights but the Christophe Delcourt bed which has been firmly added to her Christmas list! 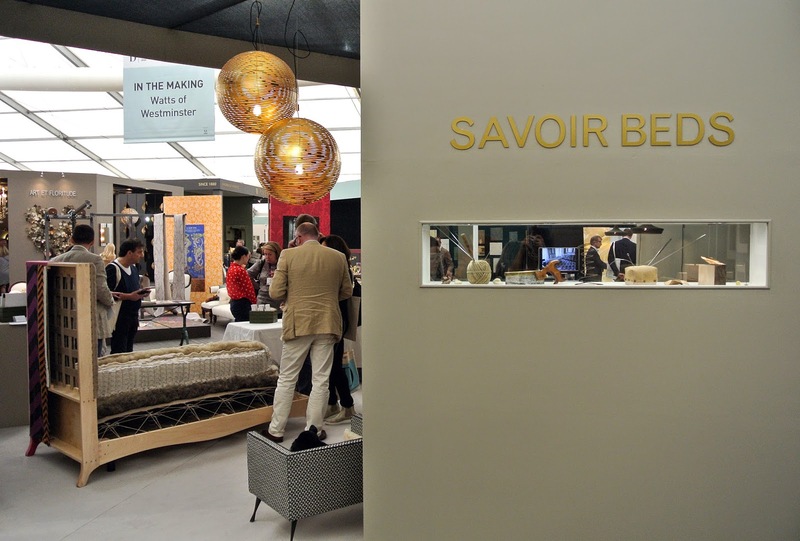 We are lucky enough to have a great presence at Decorex this year with another display stand on B74. 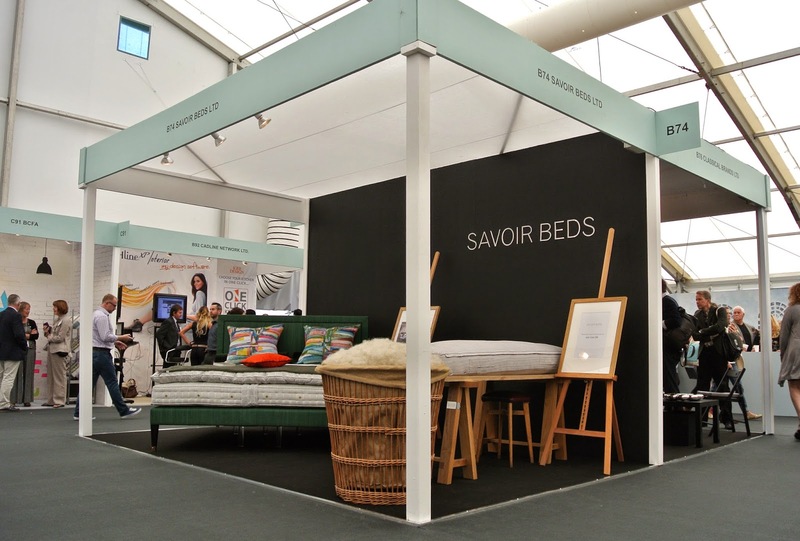 Our designers created a room centred around our Virgina White bed which has been a real success- this contemporary bed is upholstered in striking green horsehair from John Boyd Textiles accompanied by vibrant hand silk screen printed cushions. Thanks to all that stopped by our stands.